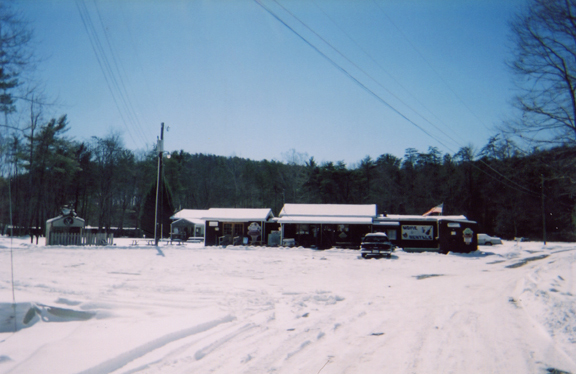 The Buckhorne camp store features Bambi's Country Kitchen that seats up to 12 patrons and offers Hunt Brothers Pizza and Hunt Brothers Wings. Also, 24 flavors of Hershey's Ice Cream provides desert. 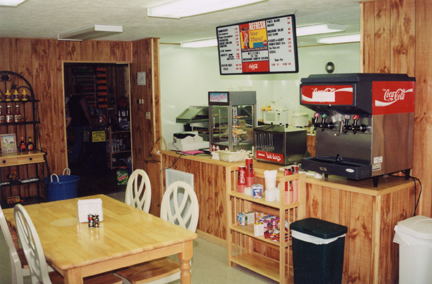 The Buckhorne features a kitchen that serves hot food the year round. 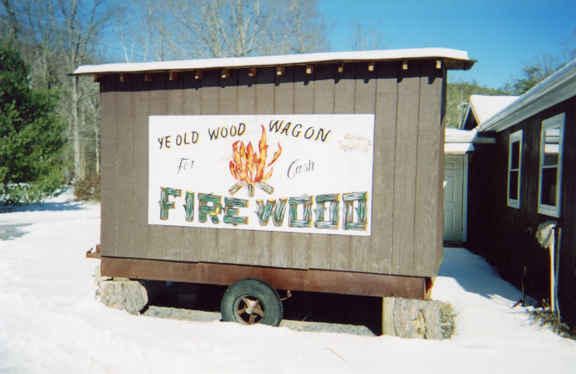 The Buckhorne Country Store sells firewood by the bundles and by the crate. 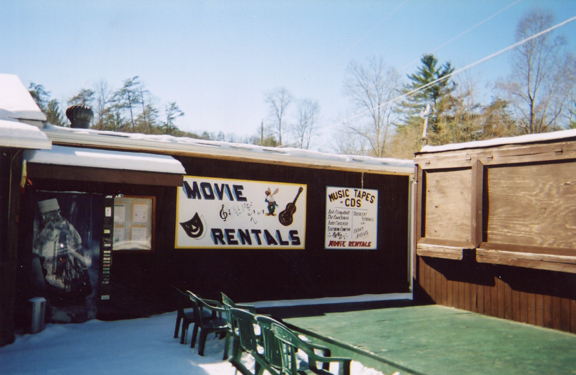 The Buckhorne's Country Store sells CDs and rents movies. A small stage provides area musicians with a place to perform. 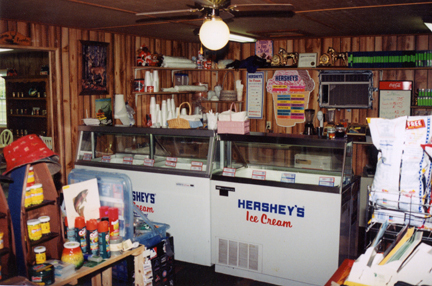 Having won the Golden Scoop Award for ten consecutive years from Hershey's Ice Cream, the business continues to attract customers from Douthat State Park, Buckhorne campers and residents from the surrounding area. 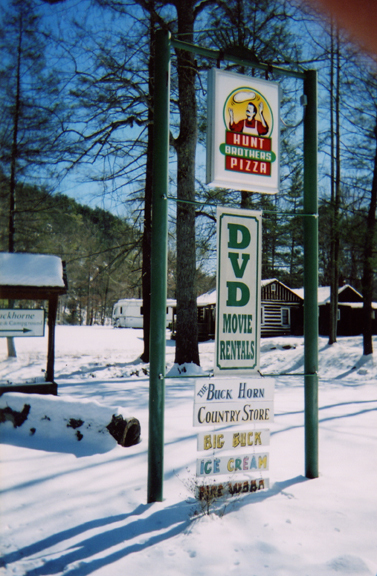 The Buckhorne serves delicious Hunt Brothers Pizza and 24 flavors of ice cream. 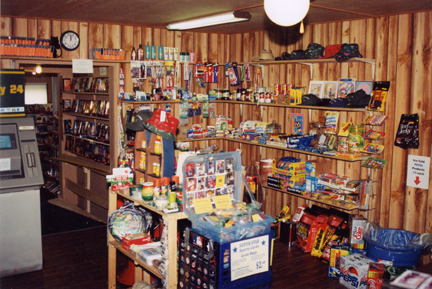 Campers can purchase sundry items at the camp store, including live bait, firewood, fishing tackle, sports cards, groceries, propane, ice, and soft drinks. The Buckhorne has never sold alcohol or tobacco products. 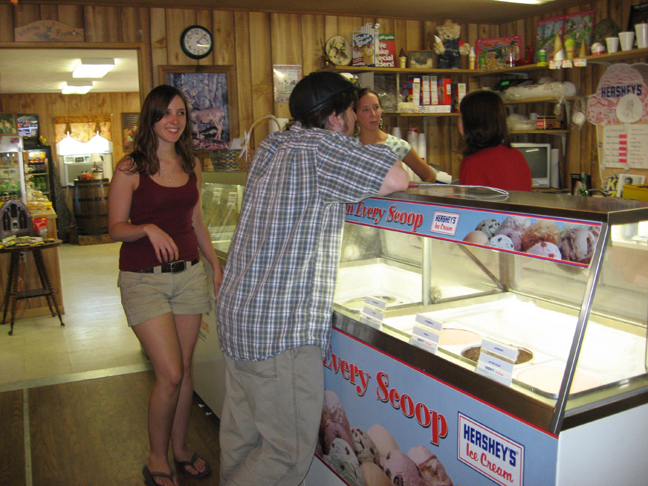 Buckhorne Camper enjoy 24 flavors of Hershey's Ice Cream. Winter comes to the Buckhorne.